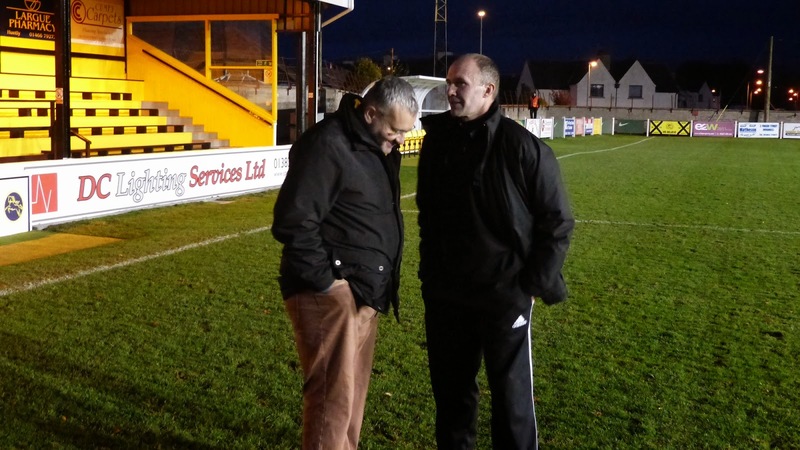 Jonny reports on the professionalism and dedication of Nairn County - and how pyramid-style promotion to the Scottish Leagues is actually a threat - rather than something to strive for. 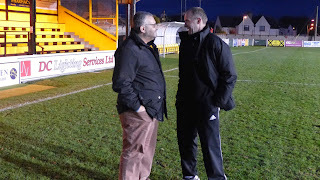 When they said, "Haste ye back" my many friends at Nairn County meant it, so I couldn't wait to return to Station Park with my pal, Iain Ramage. It was another taste of the Highland League as the Wee County faced Lossiemouth. 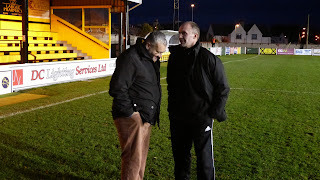 Getting the warmest of welcomes from manager Les Fridge just seconds to kickoff, I felt like the away boss coming out of the tunnel for a prematch hug! A football trip to the Highlands is literally and metaphorically a breath of fresh air. From the turnstiles, walking over the NCFC paving into the stand, this is a club aiming to be the very best it can be. The newly refurbished stand marking County's centenary with plush new home changing room, gives everyone a pride to play for the shirt. I've got the wrong boots on! The day after the game, volunteers spend five hours forking the pitch back to top condition. Any molly-cuddled "professional" who complains that 50 grand a week's not enough should come to Station Park and see the dedication of everyone here. 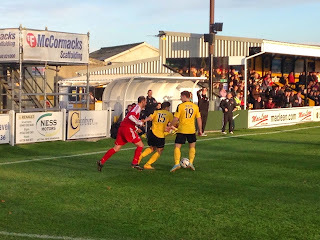 Nairn County came into being in 1914 staying unbeaten for their first five years. Quite an achievement? The Great War broke out within days of the club's formation - the Wee County didn't play their first game until 1919! And as it was the day before Remembrance Sunday, the minute's silence in this 100th anniversary year had extra poignancy. To the action and County's players had to bounce back from the bitter disappointment of Scottish Cup exit at Arbroath, "smoked out" by the ref in a narrow 2-1 defeat. And despite superior possession and play, Lossie took the lead from the spot. Post-Arbroath, it knocked confidence. What we needed was a goal - and we got a cracker! Martin 'Bobo' MacDonald levelled it jumping way higher than Lossie's defence to glance in a header from a corner. Later we had a couple of collectors items; the normally clinical Conor Gethins had a spot-kick saved, but if County faithful fret over too many goals from one source, they need worry no longer. Sam Urquhart struck FOUR and with that, Wee fans have a new hero. He's left and right footed, fleet of movement, full of running and knows where the goal is. Gethins was later substituted. A sharp reminder that the boss now has choices. Not sure what formation that is but what a picture! The Northern Irishman's not getting younger and he's asked for a transfer. He works for the Brora Rangers owners. Will he even be at Station Park next season? And on Ladies Day, where the main stand had some unusually noisy support, these lads must've caught the eye! Kyle Wilkie likes to play and Mike Morrison distributed the ball well. In goal, Calum Antell, a Hibs youth player and still wearing green is a commanding presence. The Main Stand lasses enthusiasm, cheering a goal even after it was flagged offside, helped create a rather unique atmosphere! But Sam's goals settled nerves and as the game wore on, County just got "better and better" as Andy Gray might say. Nairn were 5-2 winners. After an on-pitch chat with the boss, he proudly showed me around the new changing room, complete with hallmarked badge. They really are the pride of the division. Recalling his early days at Chelsea, Les told me he'd played with a young Paul Lambert on his return north to St Mirren. There's a fine line between success and failure. At Motherwell, Lambert couldn't attract a £100,000 bid from Dundee United but moving onto Dortmund, the rest is history. 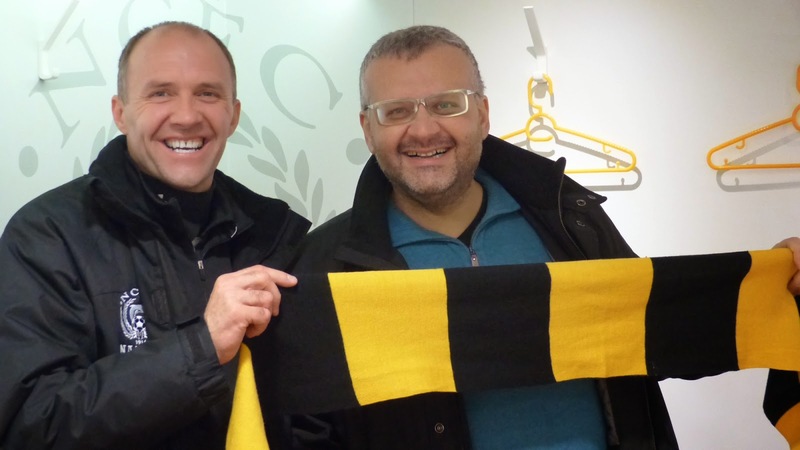 He came back to Scottish football a one-and-a-half-million-pound player with Celtic - and a European champion. I'm cuptied and not matchfit but terms were a formality! Nairn County could be a Scottish League club one day. The SPFL now has a pyramid system of promotion and relegation which extends to the Highland League. But the Wee County is firmly rooted in its community. When you go and support the team, there's a real feeling of connection; something you don't get sitting next to a South Korean tourist at Stamford Bridge! Walking down the High Street, I got into a discussion with Paul MacLeod's mum as she served me at the newsagent. That's how Nairn is. Les: "Did I tell you that last time, Jonny?" Promotion would spell real upheaval. Volunteers who keep the club going on so many levels couldn't leave full-time jobs to make a midweek trip to Berwick Rangers. They'd have to quit the club - but who'd take their place? So let's say all the best to Brora Rangers and may I wish the Wee County many happy years near the top of the Highland League! Thanks as always to Iain Ramage and Donald Matheson, to Les Fridge and the Gurn from Nurn for the memorable time. 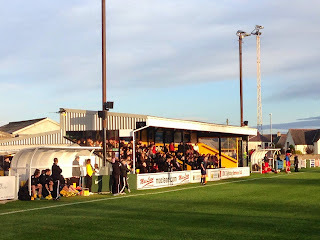 My first trip to Station Park was also against Lossiemouth. Click for the story.